Hollywood legend Joan Collins has signed up to front an advertising campaign for Mars-owned Snickers chocolate bar, replacing fellow 1980s icon Mr T.
Collins, the star of 1980s soap 'Dynasty' is thought to have flown into the UK last week to film the ad, which has been created by AMV BBDO. The ad also features fellow actress Stephanie Beecham and a number of Sunday league footballers. The humorous ad will focus on Collins as a glamorous older woman with a perfect figure, who still loves chocolate bars. Mars confirmed that Collins would star in the new Snickers ad, but would not give further details. 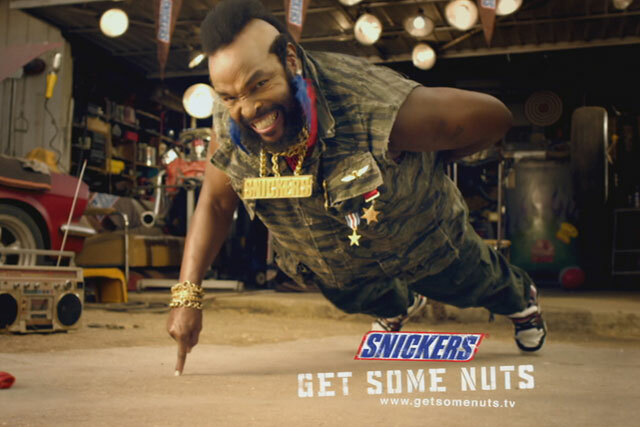 Snickers has previously used Mr T to front advertising for the brand, including spots to highlight the drop in saturated fat in the chocolate bar. It also ran a nationwide road show to publicise Mr T's free BA flight to the UK.